Ham and Peach Salad — always with butter. 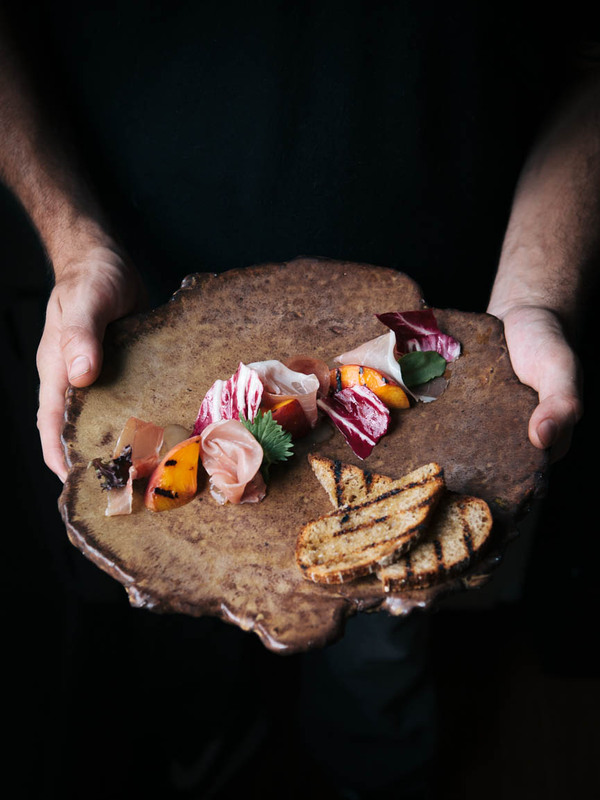 Recipe and plating by Adam Ross. Slightly heat all ingredients to approx. 140F. At this stage, blend, season and cool down over ice. Before using, whisk to re-emulsify the dressing. Slice peaches in half and remove pit. Grill until nicely charred. Cut into wedges. Brush bread with olive oil and then grill until crisp. Toss peaches in the hazelnut vinaigrette then arrange on plate. Make curls of the serrano ham and add to plate. Finish with the chicory mix and bread.